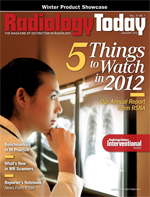 Editor’s Note: This article was prepared from press materials distributed at RSNA 2011 in Chicago in November. Physicians who have a financial interest in imaging equipment are more likely to refer their patients for potentially unnecessary imaging exams, according to a study presented at RSNA 2011. Self-referral, whereby a nonradiologist physician orders imaging exams and directs patients to imaging services in which that physician has a financial interest, is a concerning trend in medicine and a significant driver of healthcare costs. “Self-referred medical imaging has been shown to be an important contributor to escalating medical costs,” said Ben E. Paxton, MD, a radiology resident at Duke University Medical Center in Durham, N.C. Between 2000 and 2005, ownership or leasing of MRI equipment by nonradiologists grew 254% compared with 83% for radiologists. The US Government Accountability Office (GAO) reported that the proportion of nonradiologists billing for in-office imaging more than doubled from 2000 to 2006. During that same time period, private office imaging utilization rates by nonradiologists who control patient referral grew by 71%. For the study, the researchers set out to determine whether the utilization of lumbar spine MRI differs depending on the financial interest of the physician ordering the exam. They reviewed 500 consecutive diagnostic lumbar spine MRI exams ordered by two orthopedic physician groups serving the same community. The first group had financial interest in the MRI equipment used (FI group), and the second had no financial interest in the equipment (NFI group). For each group, the researchers analyzed the number of abnormalities per positive scan, the mean age of the patients, and the negative exam result rate. The results of the study showed that among the 500 MRI exams (250 per group) between the two groups, there was no significant difference in the number of abnormalities per positive scan. However, the mean age among patients in the FI group was 49.6 compared with 56.9 for the NFI group. There were 86% more negative scans in the FI group than the NFI group, suggesting a significantly higher number of potentially unnecessary exams. Of the 163 negative exams, 106 belonged to the FI group compared with 57 for the NFI group. In the FI group, 42% of patients referred for exams had negative scans compared with 23% of the NFI group. Paxton added that increased imaging utilization due to self-referral may not yield medically useful information and may place the patient at risk for potential adverse consequences. “It is important for patients to be aware of the problem of self-referral and to understand the conflict of interest that exists when their doctor orders an imaging exam and then collects money on that imaging exam,” he said. Using CT imaging and modern manufacturing techniques, a team of experts has created a reproduction of a 1704 Stradivarius violin in hopes of recreating the sound of the prized violins. Antonio Stradivari is regarded as history’s greatest violin maker. Of the estimated 1,000 violins Stradivari made, about 650 still exist and are highly prized for their unique sound quality. There are many theories but no simple explanation for the superiority of the Stradivarius. Many factors influence a violin’s sound, from the qualities of the wood to the instrument’s shape, degree of arching, and the thickness of the wood used in construction. To create a violin with the same characteristics as the 1704 instrument known as Betts, Sirr worked with professional violin makers John Waddle and Steve Rossow of St. Paul, Minn.
“We have two goals: to understand how the violin works and to make reproductions of the world’s most prized violins available for young musicians who can’t afford an original,” Sirr said. The Betts violin was scanned with a 64-detector CT, and more than 1,000 images were converted into stereolithographic files, which can be read by a computer-controlled router. The router, custom-made for the project by Rossow, then carved the back and front plates and scroll of the violin from various woods. Finally, Waddle and Rossow finished, assembled, and varnished the replica by hand. “We believe this process of recreating old and valuable stringed instruments may have a profound influence upon modern string musicians,” Sirr said. Of the Stradivarius and other prized violins still in existence, many are housed in museums and are never played. Others are sold for millions of dollars to top professional musicians. The Betts Stradivarius is held in the U.S. Library of Congress. After he shared those first CT images with Waddle in 1989, the two spent years scanning more than 100 violins—including 29 valuable instruments predating 1827—and other stringed instruments to better understand their composition. For owners of authentic Stradivarius or other prized violins, CT imaging not only provides a definitive form of identification but also helps establish a pedigree that may increase the value of their investment. Soccer players who “head” the ball with high frequency have brain abnormalities similar to those found in traumatic brain injury (TBI), according to research presented at RSNA 2011. Researchers found that longtime players who headed the ball approximately 1,000 to 1,500 times per year were found to have significant differences identified in five brain regions. Diffusion tensor imaging (DTI) allows researchers to assess microscopic changes in the brain’s white matter, which is composed of millions of nerve fibers called axons that act like communication cables connecting various regions of the brain. DTI produces a measurement, called fractional anisotropy (FA), of the movement of water molecules along axons. In healthy white matter, the direction of water movement is fairly uniform and measures high in FA. When water movement is more random, FA values decrease. “Abnormally low FA within white matter has been associated with cognitive impairment in patients with TBI,” Lipton said. The research was conducted on 32 amateur soccer players (average age of 30.8) who had played the sport since childhood. The researchers estimated how often each soccer player headed the ball on an annual basis and then ranked the players based on heading frequency. They then compared the brain images of the most frequent headers with those of the remaining players and identified areas of the brain where FA values differed significantly. The five regions identified by the researchers are responsible for attention, memory, executive functioning, and higher-order visual functions. To assess the relationship between the frequency of heading and white matter changes, the researchers also compared the magnitude of FA in each brain region with the frequency of heading in each soccer player. By combining conventional medical imaging with some of the same 3D modeling techniques used in Hollywood blockbusters, researchers are offering new hope to victims of serious facial injuries by using the tools to design and plan human face transplantation. Devastating injuries or defects of the face are extremely challenging, if not impossible, to satisfactorily reconstruct by traditional surgical techniques. In face transplantation, facial tissue from a donor is transferred to reconstruct the defect; restore essential life-sustaining functions, such as breathing, chewing, and speaking; and reestablish normal human appearance. “This surgery is for patients with devastating injuries to the face who have lost their ability to smell, eat, and engage socially and have no other conventional treatment options,” said Vijay S. Gorantla, MD, PhD, administrative medical director of the Reconstructive Transplantation Program at the University of Pittsburgh Medical Center (UPMC). Clearly defining and understanding the complex tissue deficits and defects that accompany devastating facial injuries such as electric burns, blast wounds, and accidental trauma are critical for both technical success and objective analysis of the return of function after face transplantation. Medical imaging plays a major role in the entire spectrum of face transplantation, ranging from patient selection to donor and recipient surgical planning and postoperative assessment of returning motor and sensory function. Face transplantation is a lengthy, complicated procedure that involves reconstruction of multiple tissues, such as skin, muscle, blood vessels, nerves, and bone, by a team of surgeons. Currently, to prepare for facial transplantation, plastic or plaster models are first created based on 3D CT or angiographic images or reconstruction. Following this, mock cadaveric dissections are performed to allow surgeons to plan for the donor and recipient surgeries. MRI and other imaging exams may also be used to provide supplemental information. By combining information from multiple imaging exams and creating a sophisticated 3D computer model, the researchers for this study were better able to assess the facial structure and contours; the underlying bone, muscles, nerves, and vessels; and the extent of damage. Using sophisticated computer modeling software, Gorantla; Darren M. Smith, MD; and Joseph Losee, MD, integrated information from 3D CT, CT angiography, MRI, and high-definition tractography to create a 3D model of a patient’s head and neck anatomy. The same type of modeling technology is often used in movies to animate computer-generated characters with detailed 3D human features and realistic expressions. Using computer modeling, the team also overlaid the patient model with a polygon mesh of a generic human face and then customized it to the recipient’s facial anatomy. Smith said the ability to manipulate this 3D facial envelope over the residual face model allows the entire surgical team to participate in planning exactly where bone, blood vessel, and nerves will be cut and connected as well as to evaluate the outcomes of reconstructive transplantation, including nerve regeneration within the transplanted facial tissue. Patients at three major medical institutions can control the sharing of their medical images and reports with their doctors and medical providers using the RSNA Image Share network. Information from the projects was shared at RSNA 2011. By facilitating access to imaging exams for patients and physicians, the network potentially reduces unnecessary examinations, minimizes patient radiation exposure, and enables better informed medical decisions. The project was launched in 2009 through a $4.7 million contract with the National Institute of Biomedical Imaging and Bioengineering (NIBIB) to build a secure, patient-centric medical image-sharing network based on common open-standards architecture that would enable patients to control access to their information through personal health records (PHRs) without relying on CDs. RSNA is overseeing the development of the Internet-based network for sharing images and reports at five pilot institutions. Mount Sinai was the first to begin accepting patients. The University of California, San Francisco and the University of Maryland Medical Center in Baltimore have also enrolled patients. The Mayo Clinic in Rochester, Minn., and the University of Chicago Medical Center will enroll patients soon. Participating sites also educate patients on establishing PHR accounts with selected providers that will enable patients to retrieve, view, archive, and share medical images, reports, and other medical documents, creating a detailed medical history accessible through any secure Internet connection. To ensure patient privacy, the project is modeled on the type of security systems used by banks. Patients are given an eight-digit code and then create a password or PIN known only to them. After signing into the network, patients follow a series of steps that tell a component of the system, called the Edge Server, to retrieve their reports and images. From a “jacket” of imaging records, patients can select those they would like to share with their healthcare team. “By default, there is a 72-hour delay built into the process to ensure that the patient’s physician sees new imaging results before the patient does, enabling the doctor to be prepared to have a discussion with the patient,” Mendelson said. In coming years, project investigators will work on developing direct transfer of images for immediate accessibility—necessary, for example, if a patient is flown into a trauma center from another facility. RSNA Image Share is based on the XDS.I.b profile of Integrating the Healthcare Enterprise, an initiative among medical leaders, software developers, medical societies, and vendors to improve communication among healthcare equipment, systems, and software. The goal is to move closer to a universal electronic health record and help physicians meet federal meaningful use requirements in practice.